DUBLIN, Oct. 1, 2015 /PRNewswire/ -- Allergan plc (NYSE: AGN), a leading global pharmaceutical company, today announced that it has successfully completed the acquisition of Kythera Biopharmaceuticals, Inc., a company focused on the discovery, development and commercialization of novel prescription products for the medical aesthetics market. Allergan acquired Kythera in an all-cash transaction valued at approximately $2.1 billion. The acquisition of Kythera adds KYBELLA® (deoxycholic acid) injection, the first FDA approved non-surgical injection for improvement in the appearance of moderate to severe submental fullness, commonly referred to as double-chin, in adults. KYBELLA is administered by a trained physician who injects the product under a patient's chin to destroy fat cells, improving the appearance of the patient's chin area. Up to six treatments may be administered per patient no less than one month apart, and each in-office treatment session lasts approximately twenty minutes. "The completion of the Kythera acquisition is an important moment for Allergan and our world-class aesthetics business, adding highly differentiated products and development programs that enhance our product offering to global customers and their patients," said Brent Saunders, CEO and President of Allergan. "KYBELLA is a game-changing product in facial aesthetics, and builds on our leadership in the facial aesthetics market. We now can provide a broader range of market-leading aesthetics products to our customers, with KYBELLA joining BOTOX® Cosmetic, JUVEDERM® XC, JUVEDERM VOLUMA® XC and LATISSE®. KYBELLA, a product I have been treated with myself, is also a key entry point for expanding the use of our aesthetics products in men, a growing market opportunity in both the U.S. and around the world." KYBELLA has been studied as part of a global clinical development program involving more than 20 clinical studies with more than 1,600 patients treated. KYBELLA was approved by the U.S. Food and Drug Administration (FDA) on April 29, 2015 and launched on June 19, 2015. Internationally, Kythera recently received marketing authorization from Health Canada for KYBELLA (marketed as BELKYRA™ in Canada) for improvement in the appearance of moderate to severe convexity or fullness associated with submental fat (SMF) in adults. Kythera also recently announced the submission of a Marketing Authorization Application (MAA) in the European Union (EU), seeking approval for ATX-101 (deoxycholic acid) injection as a treatment for the reduction of submental fat when the presence of submental fat has a psychological impact for the patient. Additionally, Allergan will pursue the relevant clinical trial requirements and the regulatory pathways to license and commercialize this treatment in other countries. "In my practice, I see many patients – both men and women of varying ages – who complain about submental fullness of the chin, even those who have an otherwise balanced facial appearance, eat healthy and are physically fit. This condition is many times resistant to lifestyle changes such as diet and exercise, and may simply be a result of the aging process or a patient's genetics," said Dr. Derek H. Jones, Associate Professor of Dermatology, UCLA, Founder and Medical Director, Skin Care and Laser Physicians of Beverly Hills. "KYBELLA offers a new, exciting option for medical aesthetics professionals and their patients who are seeking a non-surgical option for the bothersome condition of double-chin." 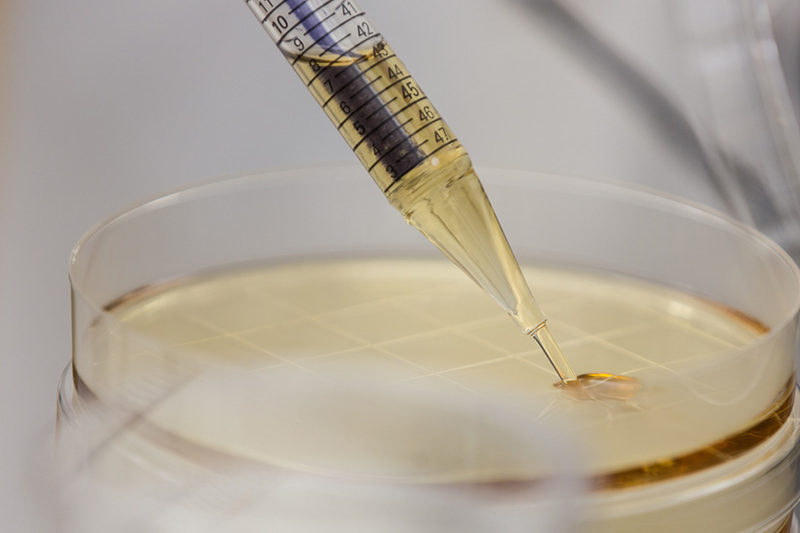 The acquisition also adds KYTHERA's development product setipiprant (KYTH-105), a novel compound for the prevention of androgenetic alopecia (AGA), or male pattern hair loss, as well as additional early-stage development candidates. KYTHERA has submitted an Investigational New Drug Application (IND) to the U.S. Food and Drug Administration (FDA) for setipiprant for the treatment of AGA. Allergan plans to conduct a human proof-of-concept study to evaluate the efficacy and safety of setipiprant in male subjects with AGA. KYBELLA® is the first FDA approved non-surgical injection for improving the appearance of moderate to severe submental fullness, commonly referred to as double chin. KYBELLA® is a non-human and non-animal formulation of deoxycholic acid, a naturally-occurring molecule in the body that aids in the breakdown and absorption of dietary fat. When injected into subcutaneous fat, KYBELLA® causes the destruction of fat cells. Once destroyed, those cells cannot store or accumulate fat. The most commonly reported adverse reactions in the pivotal clinical trials were: injection site edema/swelling, hematoma/bruising, pain, numbness, erythema, and induration. Please see full Prescribing Information. i American Society For Dermatologic Surgery 2015 Consumer Survey on Cosmetic Dermatologic Procedures (N=7315); Exact survey language was "How bothered are you by excess fat under the chin/neck?"